Ronke is a descent of Ondo State but was born in Oworonshoki, Lagos State Southwestern Nigeria, where she completed her primary and secondary education. 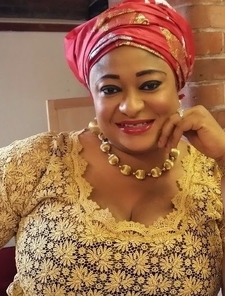 She began her acting career with a drama group called Star Parade under the leadership of Fadeyi, a Nigerian actor but became an household name in the year 2000 when she featured in a movie titled Oshodi Oke, from which she got her stage name. Her musical career began in 2014, the same year she launched her debut album which is yet to be released. In 2015, she released a single titled Ori Mi which featured 9ice.